Check this page regularly for details of events we are hosting or involved in (including Farmers Markets, Trade Shows, etc), as well as details of any TV and press coverage. You can also get all the very latest information, tips, updates and more by following us on Facebook or Twitter. We are pleased to announce that we will be opening our farm shop at Portwood Farm on Friday 12th April 2019. We will be open from 8am until 5pm 7 days a week until Friday 21st June 2019. NEW! 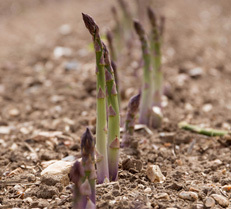 Our own Frozen Asparagus! 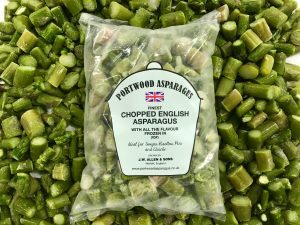 Chopped, blanched and professionally quick frozen to ensure all the famous Portwood flavour and quality is kept in. 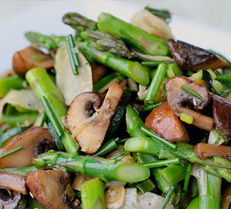 Perfect for soups, quiches, risotto, pies, pasta bakes – the possibilities are endless! Now our farm shop is closed for the season, this is available to purchase in Great Ellingham Village Store and Post Office (NR17 1LL), Goodies Farm Shop Pulham Market (IP21 4XU) and also Roys of Wroxham (NR12 8DB). Please contact Andy or Emma for more information regarding this exciting new product or if you would like to place a large order. 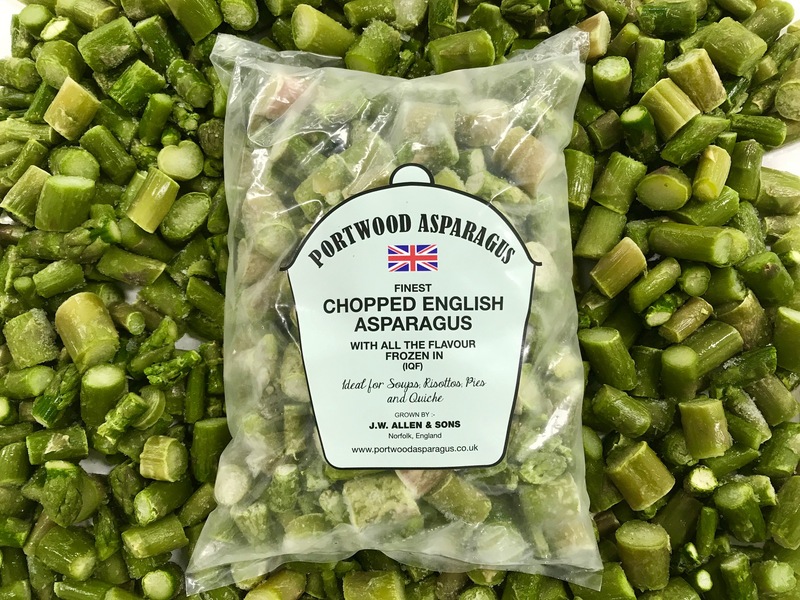 Available in 750g bags, 1kg bags, 10kg boxes or 18kg boxes (boxes only available from Portwood Farm directly). We are proud and delighted to be mentioned by name as being used in the Royal Kitchens at Windsor Castle, especially in the lead up to the Royal Wedding. 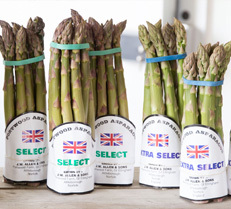 See the link to the full article below – https://www.royal.uk/inside-royal-kitchens-windsor-castle “The asparagus being prepared for the lunchtime reception at The Royal Windsor Horse Show came from Portwood Farm in Attleborough in the county (of Norfolk).